Reason for Reading: It’s just consistantly come up as a ‘must-read’ over the past few years, so I finally hopped on the bandwagon. 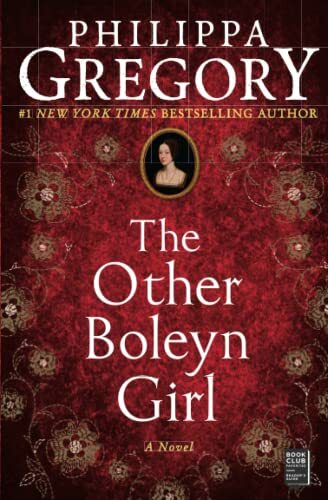 Why you should read this book: A sign of a great historical fiction writer is the ability to inject large doses of suspense and intrigue into well-known stories, in this case, the story of Anne Boleyn. If you fear huge, droning historical novels, you don’t need to worry, as the almost-700 pages fly by all too quickly. Very well-written, with the dialogue flowing easily from the characters – the language is highly readable without being too modern for the setting. Despite the basics of the plot – treason, sibling rivalry, constant plotting in a search for power, love, betrayals – the story doesn’t sink into soap opera dramatics; rather, it’s a mesmerizing account of two sisters driven by their family to sacrifice anything, even each other, as they strive towards a prize that they might not even want. Telling the story from the point of view of Mary, the forgotten sister, adds a fresh perspective to this tale of the royal court. Why you should avoid this book: Obviously, if you’re not interested in historical fiction, or England’s royal family, you probably won’t want to sit through more than 650 pages of it (although, it’s not bogged down in details – the story spans fifteen years). As with all history, there’s some speculation in the book, some of it controversial, so save The Other Boleyn Girl for pleasure reading, not history paper writing. I obeyed her, as I always did. ‘But are you happy for me?’ I asked as I struggled out of the stomacher and petticoat. ‘My God, if I was a king like him I’d follow my desires and I wouldn’t worry myself whether it was God’s will or no,’ George exclaimed. ‘And Anne is helping him,’ George observed mischievously. Also recommended: Year of Wonders by Geraldine Brooks; The Crimson Petal and the White by Michel Faber; Middlesex by Jeffrey Eugenides. Also by this author: The Boleyn Inheritance; The Virgin’s Lover; The Queen’s Fool; Wideacre; The Favoured Child; Meridon; The Wise Woman; Mrs. Hartley and the Growth Centre; Fallen Skies; A Respectable Trade; Perfectly Correct; The Little House; Earthly Joys; Virgin Earth; Zelda’s Cut; Bread and Chocolate. Fun tidbit: Gregory does not read historical fiction books herself, because she fears absorbing and repeating an incorrect fact in her own novels.